Home > April E-news: Who needs the Easter Bunny? Who needs the Easter Bunny!? 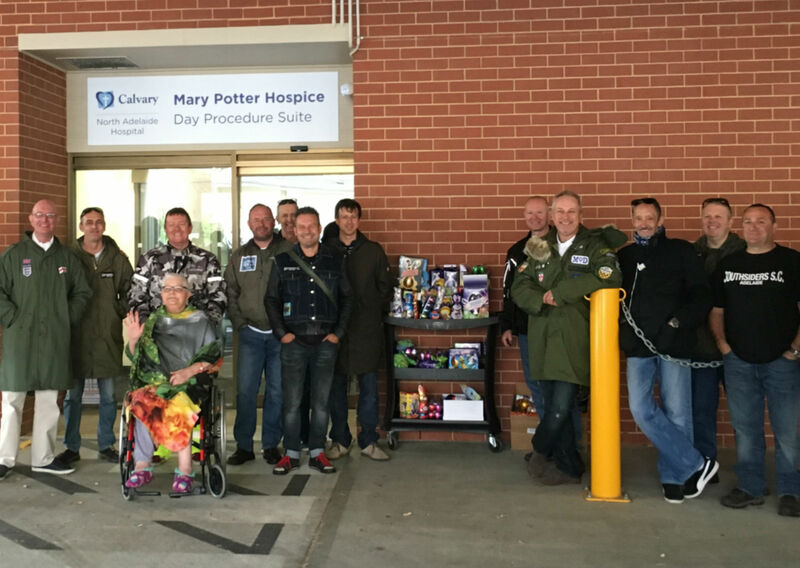 The Sunday morning before Easter, over 20 riders visited the Hospice. Braving the cold, rainy morning they arrived on their scooters creating quite a buzz. They brought with them mountains of chocolate eggs and bunnies for the Hospice. A few patients rugged up to check out the colourful, well cared for scooters. Dennis even judged a best looking scooter competition! On Easter Sunday each Hospice patient was given a bag full to the brim with chocolate treats to enjoy and to share. A big thank you to all the riders for braving the cold weather snap and delivering an extra special Easter!